STOP! Your search ends here! Enjoy 180 North-West-South views from a 200sqft roof top deck. This top floor, 2bed, 890+sqft unit will not disappoint. 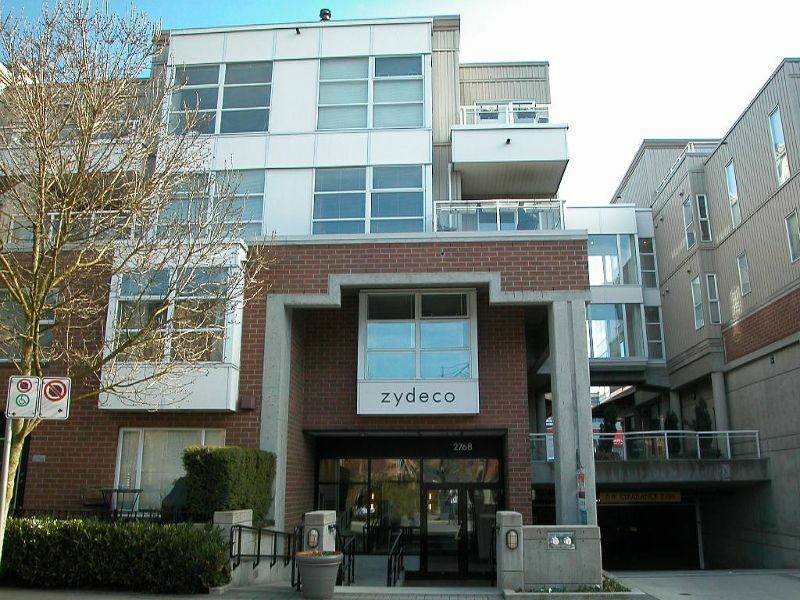 Zydeco, Concert built, is located in Arbutus Walk, one of the most trendiest parts of town.Open concept plan allows you to take in views from the kitchen, living room & dining room. Features: freshly painted, bamboo flooring throughout, gas F/P, in-suite laundry, well sized rooms & great closet space. Don't forget added benefits of 2 parking stalls, large storage locker & 3 secured bike rooms. Built w/rainscreen & offering balance of 2-5-10 year warranty, this building has it all. The location cannot be beat: steps to shopping, parks, rec & transit. Act Now! Open Mar 15 from 1 to 3.